Suzanne had the special privilege of speaking with Anita Moorjani not once, but twice! Anita is the best-selling author of Dying to Be Me, and you can hear Suzanne’s fascinating conversation with her about that book below. Suzanne spoke with Anita again upon release of her second book, What If This is Heaven? In this book Anita dismantles ten of our culture’s pervasive myths that prevent us from experiencing life as heaven on earth. As always, the insights Anita offered in this conversation were profoundly thoughtful and loving. Her keenly felt and elegantly articulated understanding of what it really means to love yourself will open your heart and uplift you in ways that only she can do. Please give yourself the gift of relaxing with Anita and Suzanne in this heart-centered conversation about how to love yourself into a life you love. Have only a few minutes? Read Suzanne’s article about her conversation with Anita here. You’ll be glad you did. Suzanne spoke with Anita Moorjani, author of the best-selling book, Dying to Be Me: My Journey from Cancer to Near Death to True Healing, shortly after that book was released. In this extraordinary interview, Anita shares her profound understanding of who we are and why we are here with eloquence, compassion and joy. Her core message is that we are magnificent beings whose very essence is love, and when we remember and reconnect with that essence, we open ourselves to live the healthy, joy-filled lives we came here to live.  Please give yourself the gift of unhurried time to savor Suzanne’ interview with Anita. She touches on a diversity of topics ranging from self-love to manifesting what we desire to understand our spiritual essence to the question of whether health screenings are helpful…or potentially harmful. And she shares profound experiences from her journey that are not in the book! It is illuminating, inspiring and transformative.